It is so easy to set up and carry. The fabric is stitched with the frame, and folded to small round shape piece. When you need to display your sign, you only need to unfold the frame. * High quality full colour dye sublimation print. 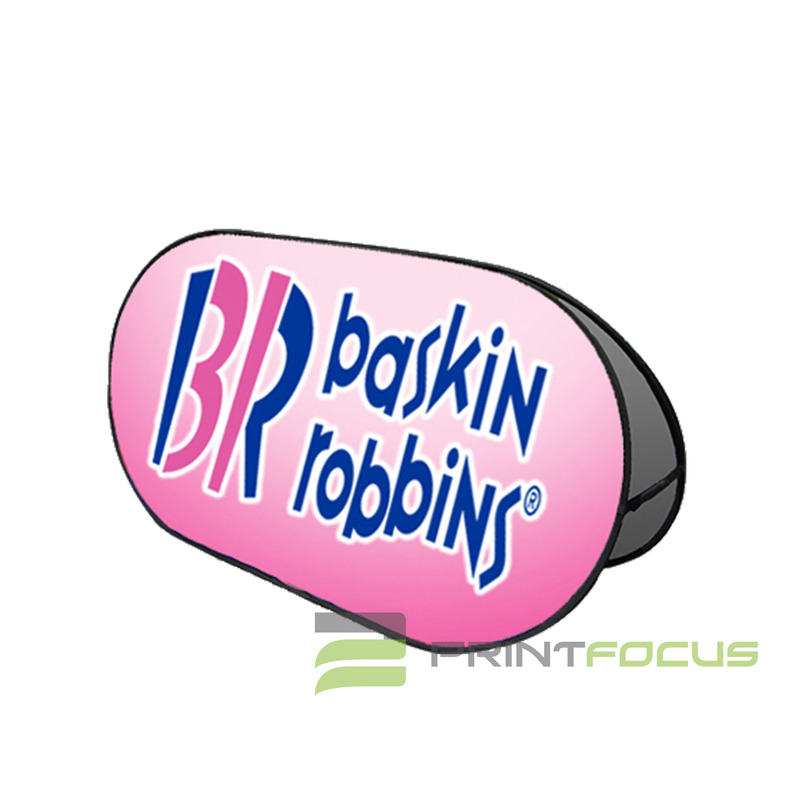 * Double sided printing to create eye-catching display used indoors and outdoors. * Waterproof polyester display includes pegs that help hold on ground outdoors. * Fold up into a small round shape and supplied in a carry bag. * Complete with carry bag makes transport between events easy. * Available in Horizontal, Round and Vertical styles and 3 different sizes for each style. * Light weight and sets up in seconds without any tools necessary. Q: What are the sizes of the Fabric A frames? Q: Do the Fabric A Frames come with prints on both sides? A: Yes they come with 2 sides, each of which is printed in full colour. You can have any design you like. Q: How are both sides of the Fabric A Frames joined together? A: The 2 sides of the Fabric A Frame are sewn together along the top edge so they cannot blow apart, and come with a support arm with velcro on each end, which holds them apart in the “A” shape. Q: Are the Fabric A Frames supplied in a bag? A: Yes they fold up into a small round shape and supplied in a carry bag. They are supplied with pegs which are also contained in a pocket on the bag. Q: What's the packed weight of the Fabric A Frames?